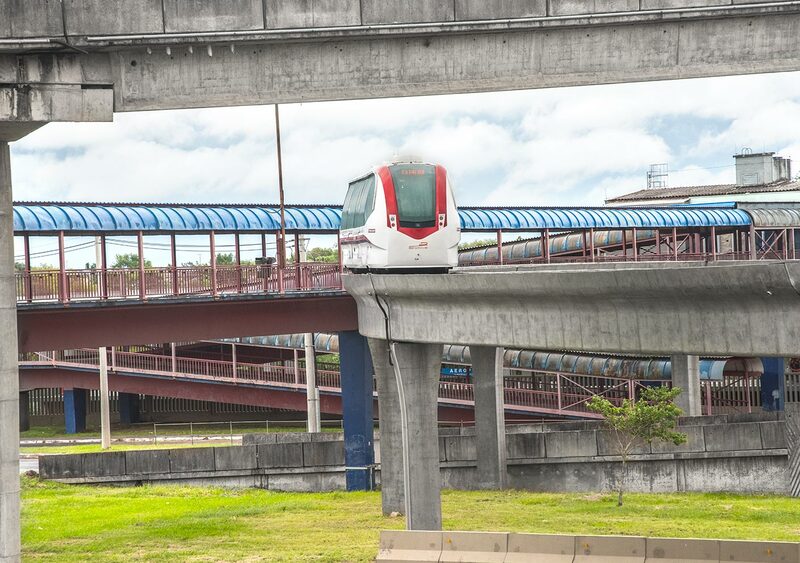 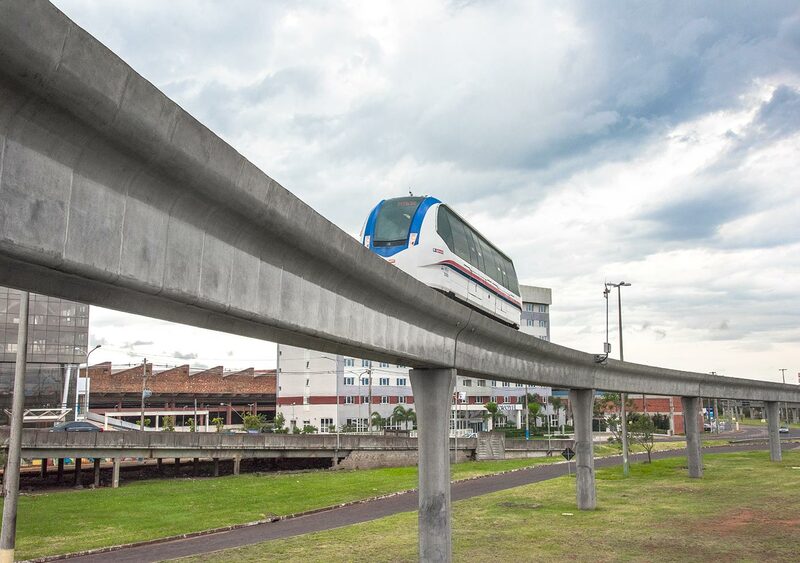 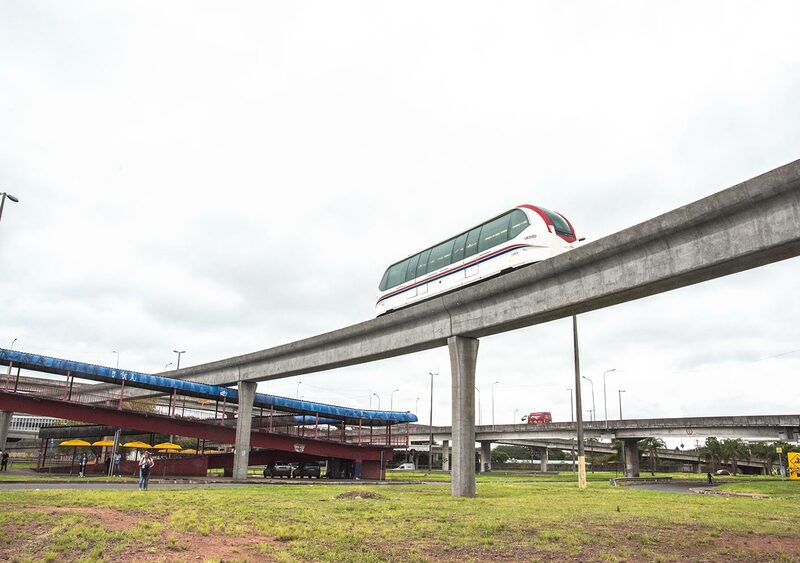 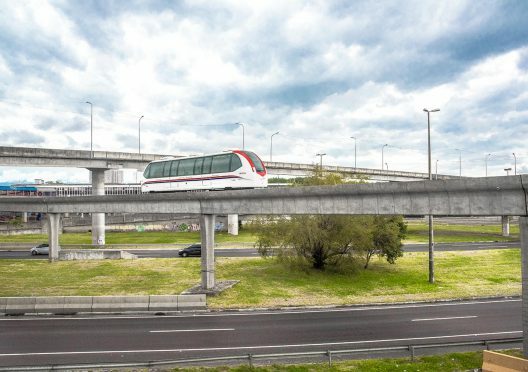 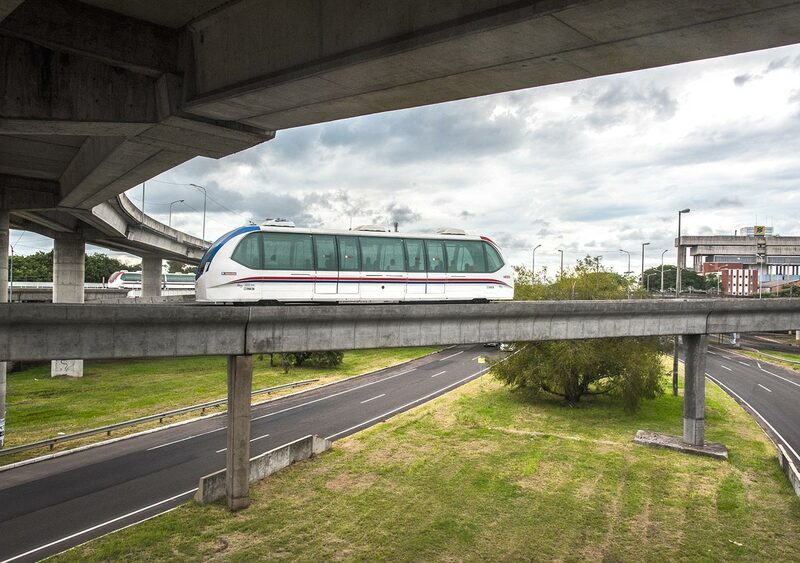 The Salgado Filho International Airport Shuttle Line in Porto Alegre, the state capital of Rio Grande do Sul, Brazil, was planned as one of the works for the 2014 World Cup. 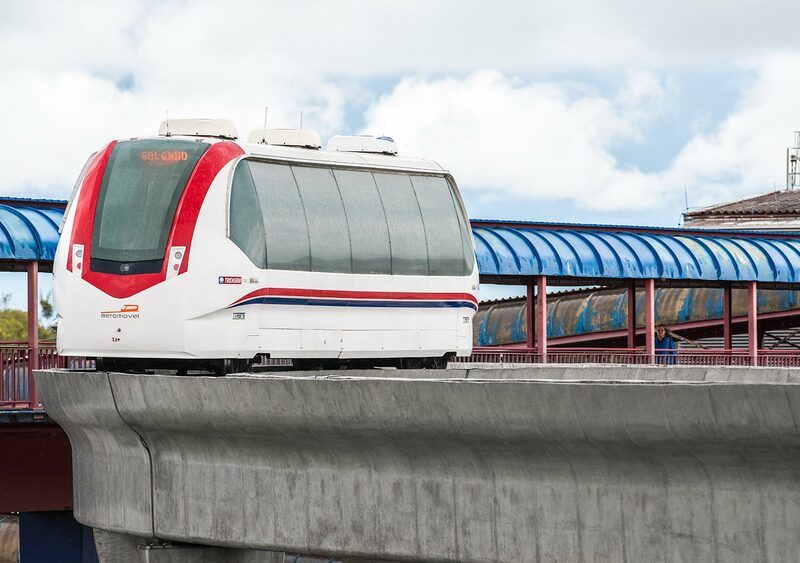 The flexibility of the project and its rapid implementation were key factors for the inauguration of the Line in 2013, one year in advance. 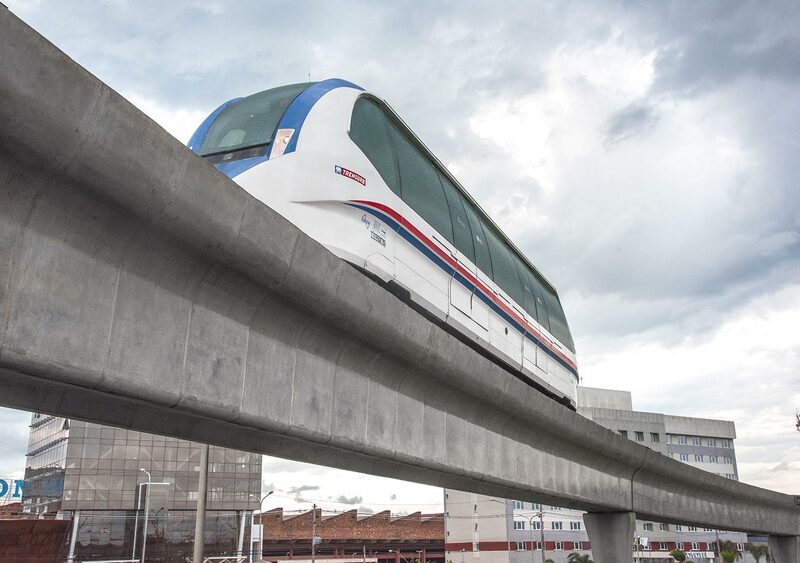 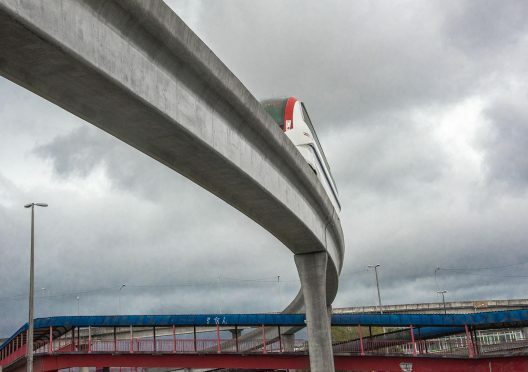 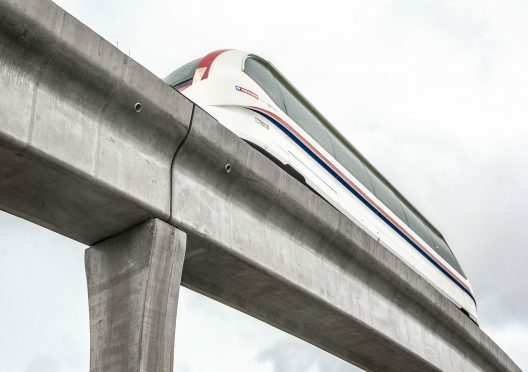 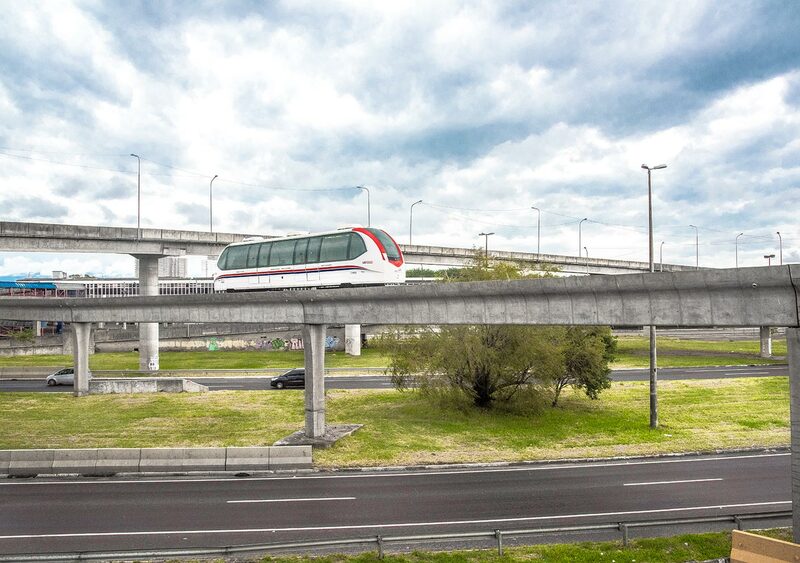 Because it is an elevated guideway transport system, the project is considered essential to facilitate travel between two important points: the airport and the metropolitan train. 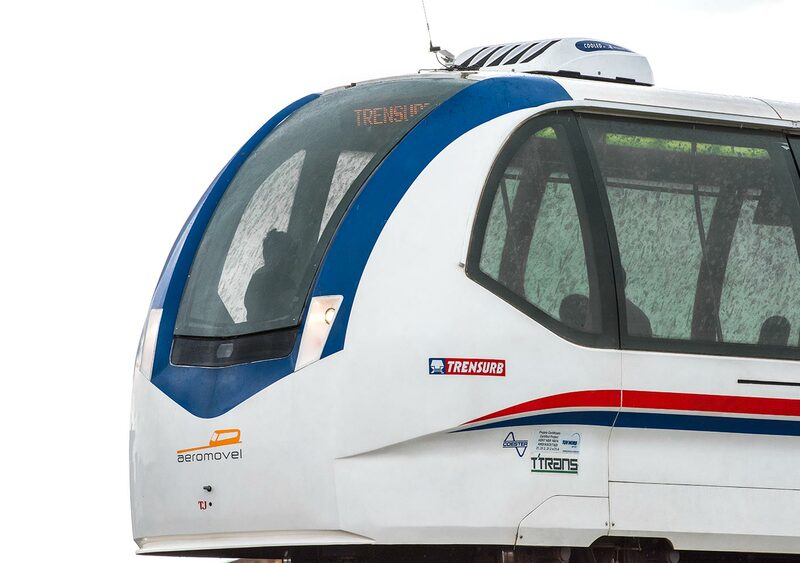 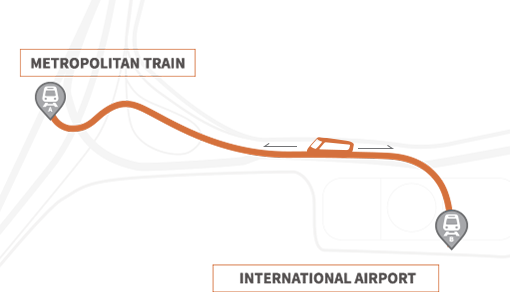 Through his experience with the Porto Alegre Aeromovel (Salgado Filho International Airport Shuttle Service), Trensurb’s CEO Humberto Kasper (from June 2011 to October 2016), sees major demand potential not only in urban public transport, but also for stretches that link the metro railway to universities, industrial parks and hubs, all spread throughout the Metropolitan Region. Kasper also mentions the additional advantages of the Aeromovel system, such as the reduction in cost per passenger and the ease of insertion in urban environments. He also highlighted the evolution in the Aeromovel’s displacement technology and its competitive edge in relation to conventional metro railway transport systems. 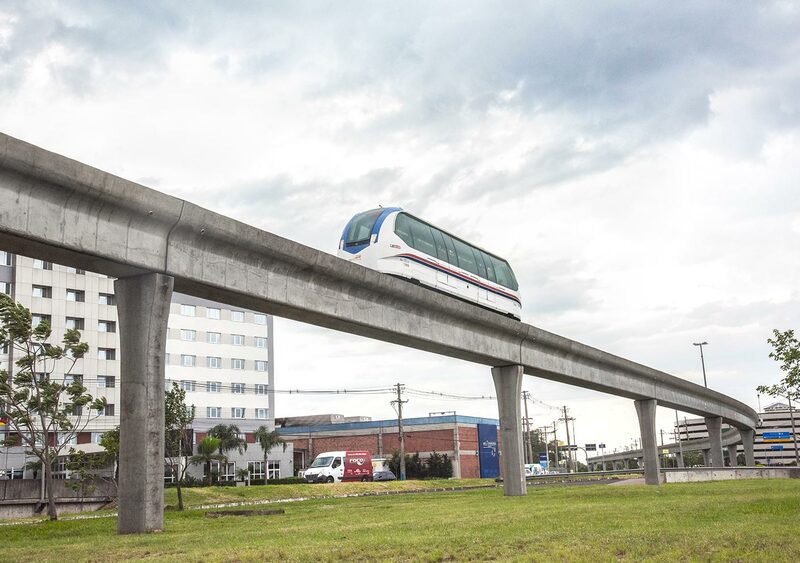 The Aeromovel travels a little over 1 kilometer, connecting the airport to the local metropolitan train station. The flow of users on the Shuttle Line is fed by the train, which connects the center of Porto Alegre to other cities of the Metropolitan Region, along a distance of 43 km. 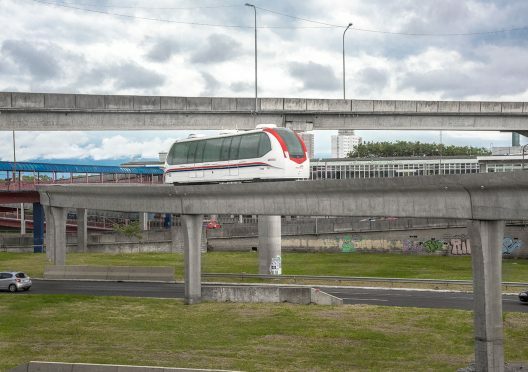 The System was planned as a quick, comfortable and safe transport solution, reducing to less than two minutes the travel time that could only be done on foot or by bus. The low maintenance cost of the air-propelled system is considered ideal for airport connection projects. 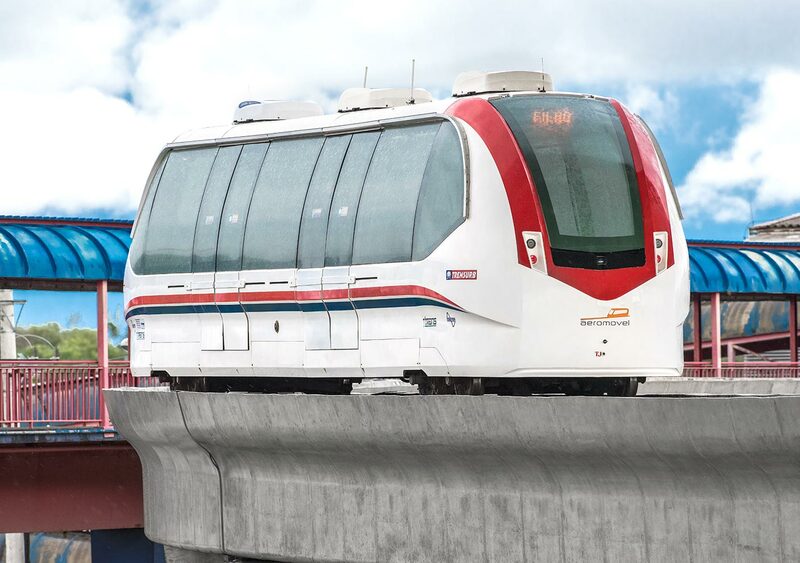 With two vehicles in operation, the Line was designed to carry around 10,000 passengers per day, at a significantly lower cost when compared to other similar transport systems.